Xbox’s E3 conference just recently wrapped up. Here is a quick review of what they showed off. The biggest excitement many people had going into E3 was the unveiling of Project Scorpio. The most powerful console yet will show true 4K visuals with 60 frames per second and boast faster load times. If you do not have a 4K television yet, do not worry; 1080p sets will also receive a boost in visuals. The console is also the smallest Xbox ever and is a sleek black. 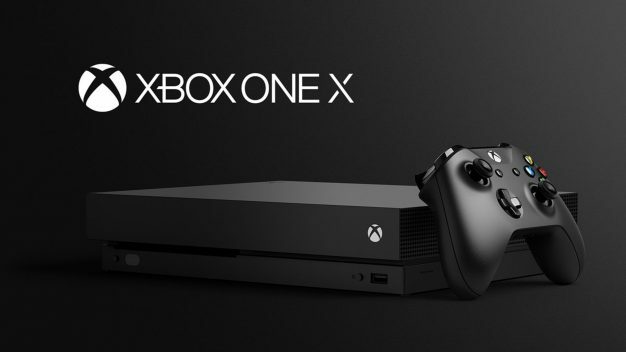 The Xbox One X releases November 7th for $499. The newest Forza Motorsport game was shown off with all its beauty set to release on October 3rd. Metro Exodus got its first trailer, showing off what appear to be mutated rats and a bear. The game is releasing in 2018. Assassins Creed Origins, the world’s worst kept secret, was officially announced alongside gameplay. It releases October 27, 2017. PlayerUnknown himself was at the conference to announce that Battlegrounds will come exclusively to Xbox One later this year. Deep Rock Galactic was revealed as a console exclusive featuring dwarves mining and being attacked by big spider-like enemies. State of Decay 2 was shown for the first time since last year with gameplay. It will release in Spring 2018. The Darwin Project was shown off: another arena-like battle game, except viewers on Mixer will be able to alter the gameplay during a game. Minecraft players on different platforms are getting united. Mobile, VR, PC, and consoles will all have access to massive community servers and the Super Duper Graphics Pack with a 4K update this Fall. Dragonball FighterZ is a 2D fighting game that looks to be a Dragon Ball Z fighting game similar to Marvel vs Capcom. It releases early 2018. The MMORPG Black Desert is exclusively coming to Xbox One. The Last Night was announced as an exclusive. The Artful Escape was announced as an exclusive and as the trailer says, it will come when it’s damn ready. Code Vein was shown off and is set to release next year. Sea of Thieves got an extended gameplay trailer showing off treasure hunting and a ship battle. You can also shoot people out of a cannon. The game releases next year. Tacoma makes its console debut as an exclusive for Xbox on August 2nd. Super Lucky’s Tale was shown off as a 3D platforming exclusive set to release November 7th. Cuphead finally got its release date for September 29th. Crackdown 3 got some gameplay shown for the first time in 2 years, as well as an appearance by Terry Crews. The game is set to release on November 7th. [email protected] is a collection of indie games coming to Xbox One. The montage gives quick glimpses at a number of the different titles. Ashen got some gameplay shown off as a console exclusive. The prequel to Life is Strange will get its first episode released August 31st. Middle Earth: Shadow of War got an extended look at its gameplay with a focus on taking control of orcs and fighting and setting up an army to take over a base. It is set to release October 10. Ori and the Will of the Wisps was shown off with a beautiful emotional trailer. No release date announced yet. Backwards compatibility on Xbox One will be getting a boost as original Xbox games will be playable on the console later this year. As promised yesterday by EA, Anthem got its first gameplay revealed. The game is expected to release next year.